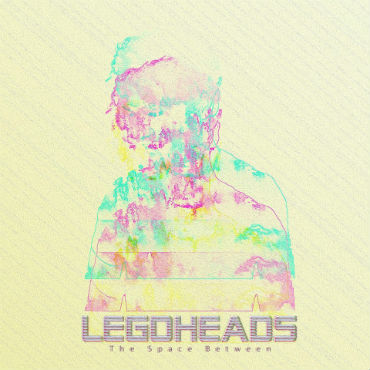 The Space Between is the latest album from LegoHeads (“a one-man ambient pop band” from Vancouver, Canada.) It’s apparent right away with the first track, Headlights, that this really is ambient pop. My first impression was that it reminded me of bands like Erasure, but with a slightly more avant-garde and almost alternative indie feel. You get the idea though: lucid dreamy electronic backing music and passionate vocals out front, coming through with crystal clarity. Not all the songs are the same though. Some of the songs after the first one are less “dancy” and have more of an atmospheric, late night coffee house vibe. Landon Trimble’s (the artist’s real name) voice does a great job of carrying these songs, especially considering how minimalist some of them are. They can’t simply be hidden away in the mix. His vocals are quite pleasant to listen to. In fact, my favorite track on here is Who Would Run, which is my opinion also features his best vocal performance. In terms of the ambient digital musical backing, I like Here at the Edge (the outro,) which I can only describe as being vaguely reminiscent of cutscene music from old school Final Fantasy games. Anyway, this album is a quality effort from LegoHeads that left me with enough interest that I will probably now go back and check out his first album.